Vox’s Brian King & Jeff Kammeraad flew into Gaborone, Botswana last week. They met with Jaco van Rensburg and Wikkie du Plessis who drove the Vox repair truck through from South Africa. The Kalahari Bushmen of Botswana received the right to return to their homeland in 2006, but were denied access to borehole (well) water until they won their court case in January 2011. 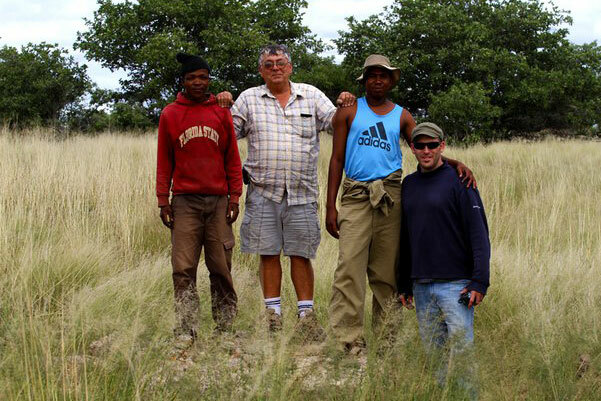 The Bushmen invited Vox to come and assist with the restoration of a non-functioning well, located approximately 7 hours north into the Central Kalahari Game Reserve. The original survey indicated that a borehole (65 meters deep) was wet and ready to outfitted with a pump. However, after numerous tests, the team from Vox concluded that the hole was unfortunately dry and only contained 4 inches of condensation. Plan B was instituted and another survey was conducted to identify viable options for drilling in the area. A strong water source was located at approximately 50 meters (164 ft) deep/underground. Once the proper drill permits are obtained, a team from Vox South Africa will return in the next few weeks and complete the job. Jaco van Resburg indicated that the borehole(s) need to be drilled as soon as possible in order to give the Bushmen people their much needed water before the winter drought arrives. 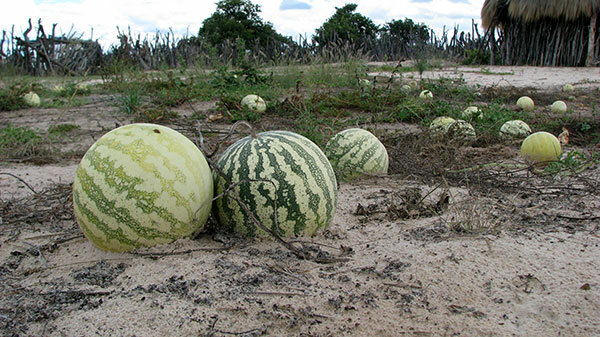 Once the annual winter drought settles in the wild, melons become their only source of water. The Kalahari Desert usually receives 3 – 7 inches of water per year. With little or no access to natural drinking water, the Bushmen grow Tsama Melons to supplement their limited water supply. The water from the melons is often harvest stored in the blown out ostrich eggs. 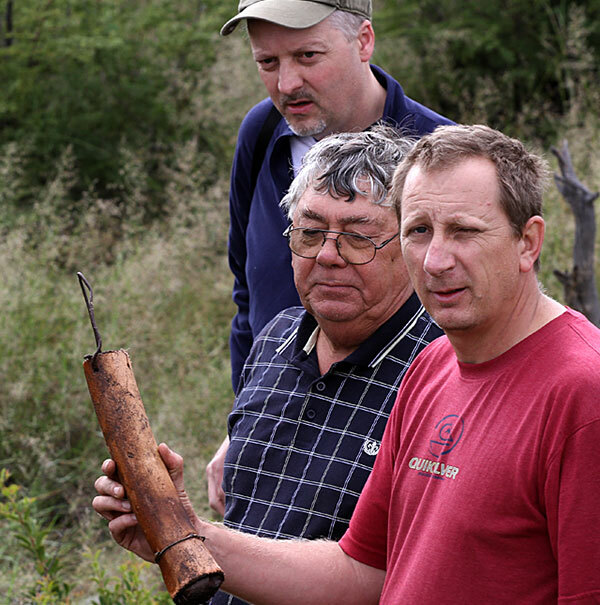 More more on the Bushmen story, click on the following links. Dropping the line to measure the amount of water in the well/borehole. An old scoop used to draw water from the well. The melons that the Bushmen use for their water supply.